A traditional European biscuit topped with a square of smooth milk chocolate that is signature-imprinted with the legendary Lady Godiva. 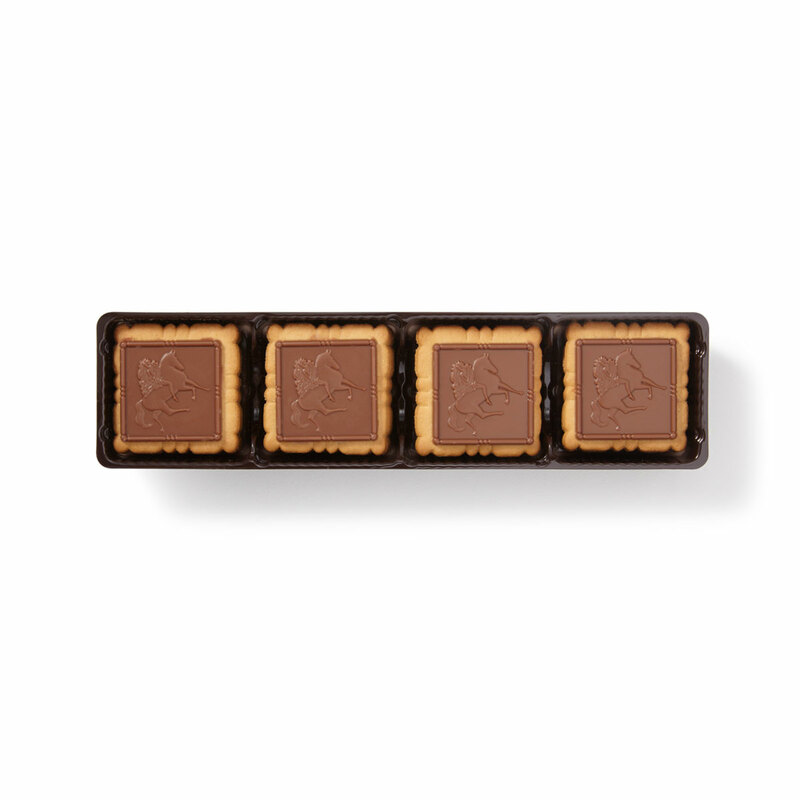 The perfect balance of biscuit and chocolate. Enjoy the crispier side of decadence. 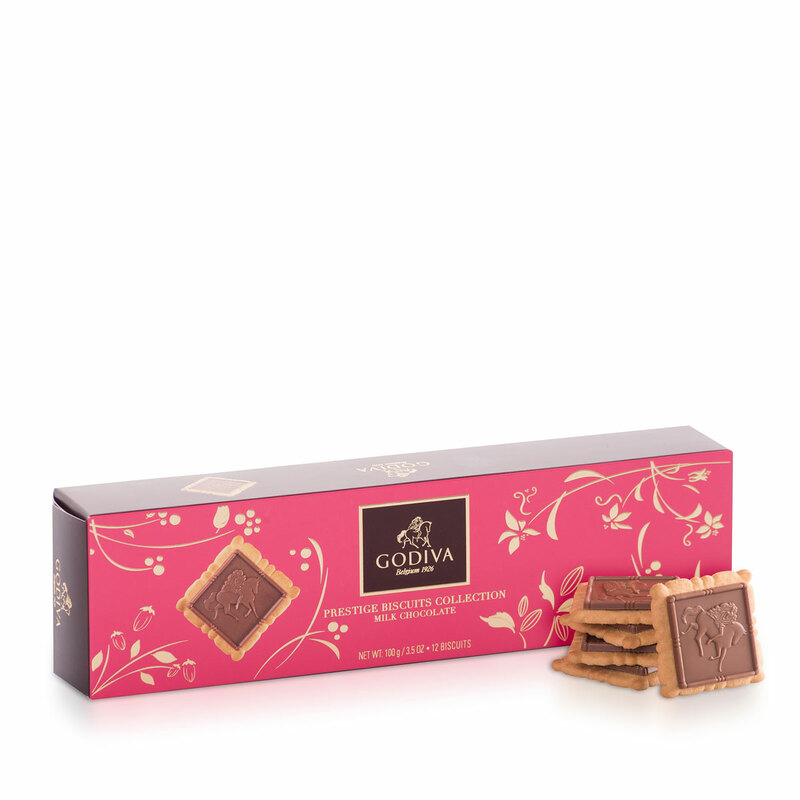 Contains 12 Milk chocolate flavoured biscuits.